After working with hundreds of couples to create custom wedding invitations and save the date cards, wedding stationery designer Kimberly Wilson noticed a recurring theme. 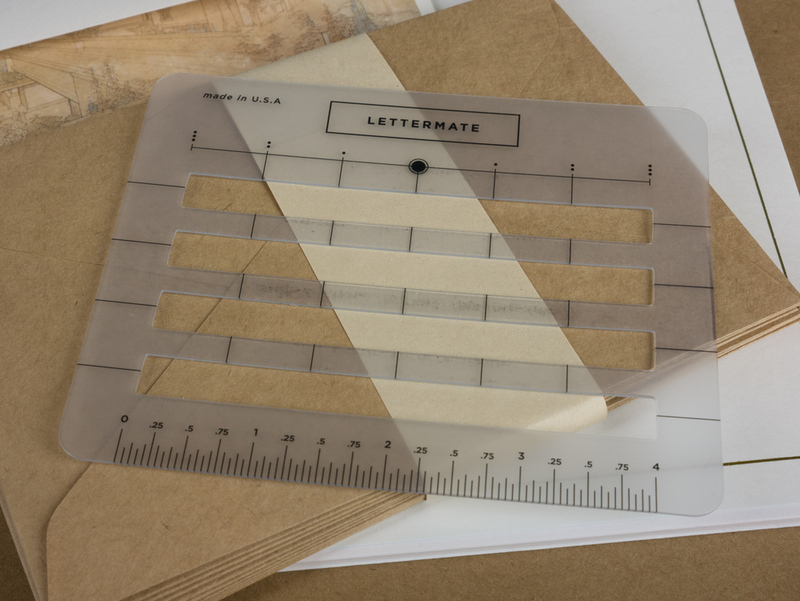 Clients would work with her to create the perfect invitation or card design, but then struggle to address the corresponding envelopes in an attractive way. Many didn't have the budget for custom calligraphy, and printed labels often brought technology headaches and unappealing results. It was out of this set of challenges that The Lettermate was born. 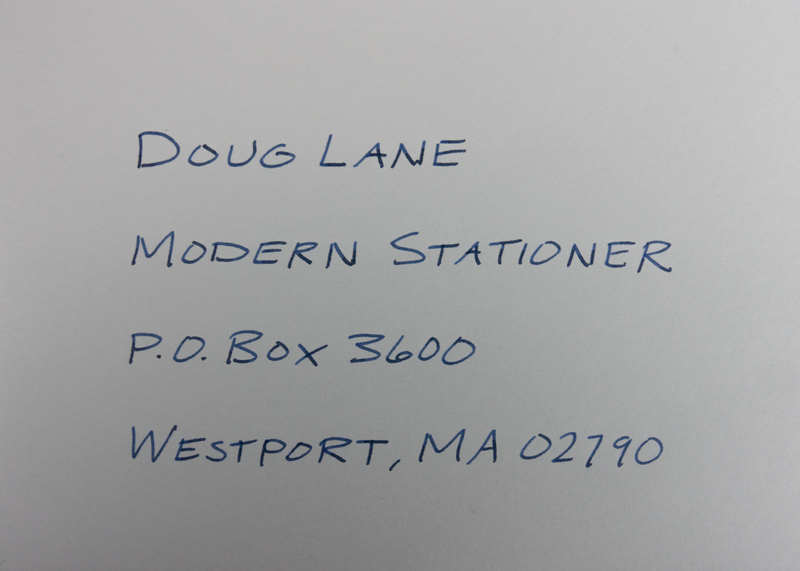 The Lettermate is an envelope addressing guide that those of us who specialize in the "crooked stairs" style of addressing can use to get it all straight. It doubles as a small ruler as well. In addition to spaced openings to keep the rows of the address aligned, there are some handy visual references that make centering text of varying lengths easier. I don't think anyone will be hiring me to address their wedding invitations any time soon, but it definitely helps. Priced at $14.95, The Lettermate is a no-brainer for anyone staring at a large stack of wedding invitations. But I'm finding it handy for addressing boxes and other everyday items as well. 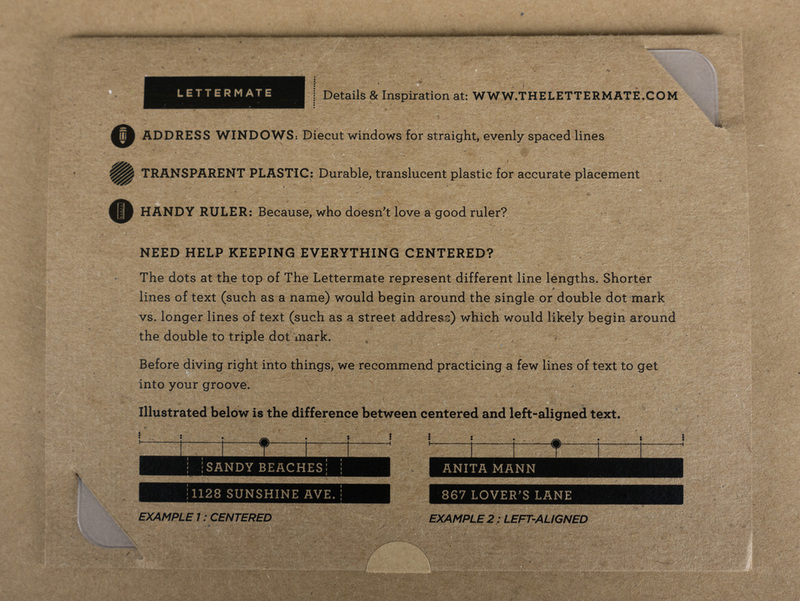 You can purchase The Lettermate directly from Kimberly at TheLettermate.com. If you happen to be planning a wedding, check out her stationery shop as well.